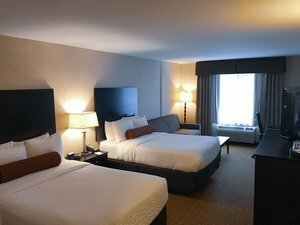 Unlike anything else in Chicago, our sophisticated Elmhurst lodging near Oakbrook, Illinois, offers a unique home base for business and leisure travelers alike. 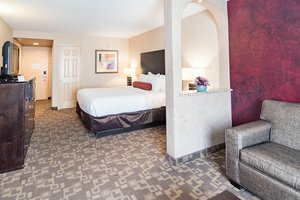 Choose from nine types of rooms, ranging from solo king rooms for the on-the-go guest to spacious two-level suites for groups in town for a celebration. For couples looking for something special, our Honeymoon Suite provides the perfect setting for romance. All of our Elmhurst lodgings feature in-room amenities that offer guests that special touch. 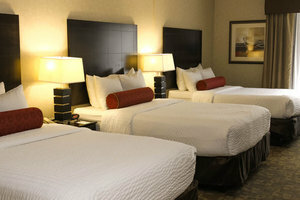 Our top priority is ensuring your utmost comfort as a guest by offering quality accommodations. 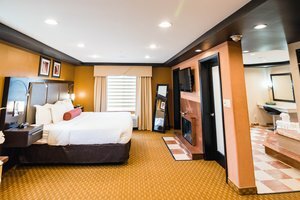 Each of our Elmhurst hotel rooms and suites comes with an oversized refrigerator, real glassware, and cable TV with HBO. Rinse the busy day away in your washroom, complete with granite and stainless steel finishes. 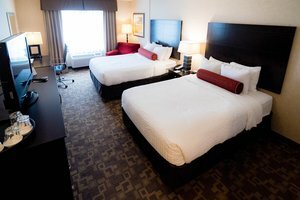 Our dedicated housekeepers wash the duvet bed covers after every stay to ensure that your experience is clean and comfortable. All of our suites face the tranquil courtyard and feature full kitchens, fireplaces, rainfall showers, and wet bars so indulgent that you may never want to leave. 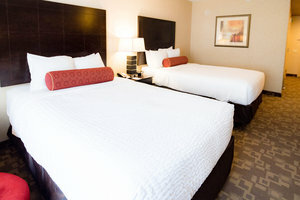 Let our Elmhurst, Illinois lodging be your oasis during your trip and explore our convenient property amenities and services. In town for a corporate event, wedding, or special occasion? 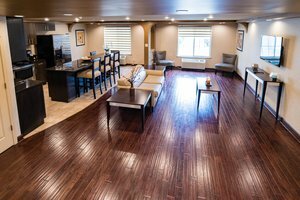 Keep your whole party together and book a group room block.